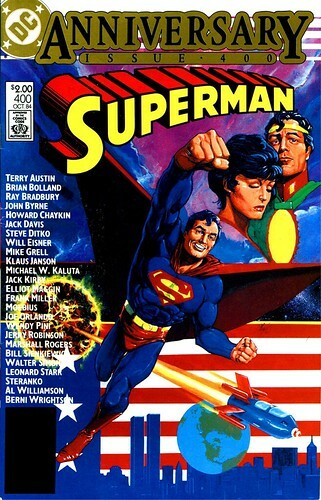 Howard Chaykin painted a wonderful cover with all the classic elements of Superman's origin. Here's probably my favorite and most off-beat pinup, by Berni Wrightson. 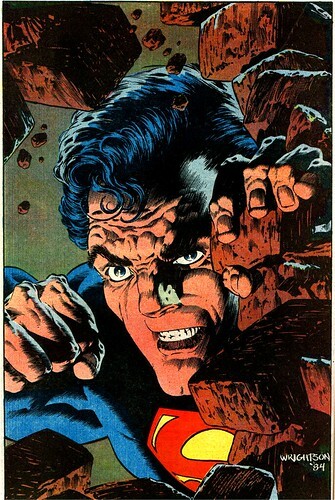 I always wanted to see Wrightson tackle Superman. I think he did a wonderful job by focusing on Kal-El's face here. 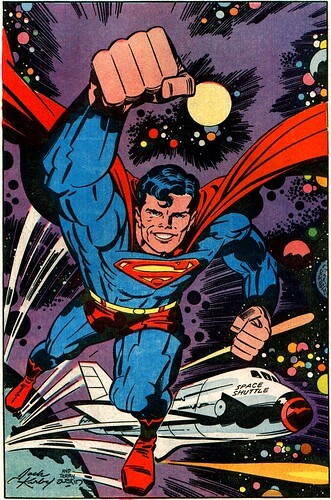 Jack Kirby provided a nice Superman illustration--inked by Terry Austin. 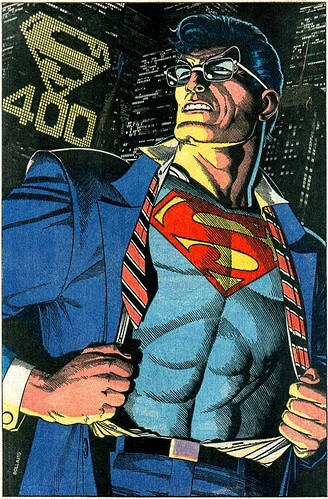 Brian Bolland's pinup freeze frame's another famous Superman motif--taking off his business man uniform to reveal the S emblem. 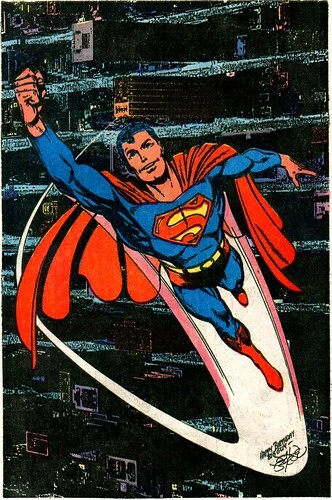 John Byrne, a Marvel creator, was even allowed to draw this pinup of his favorite character. This was a portent of things to come--Byrne would take over Superman just two years later in 1986 with the Man of Steel limited series! You can see a few more pinups on my Flickr Superman set. You can also read the story behind Superman 400, plus a number of full story pages, at superman.nu. I am amazed at how many websites/blogs actually repost full scans of every single page of comics. Nuff said.